Offering you a complete choice of products which include ms vessel and air vessel. 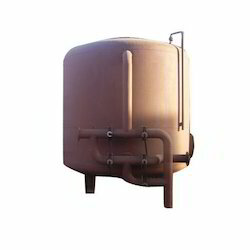 Our organization is specialized in the field of designing and manufacturing a quality-assured range of MS Vessel for Textile Process Plant, which is made available to the clients in varied sizes and finishes. We fabricate the entire range, under the strict supervision of a proficient team of quality controllers, which helps us ensure flawlessness of our range. Backed by rich industry experiences, we are highly engaged in offering a premium quality range of Air Vessel. Owing to their rugged construction and high strength features, the offered air vessels are widely applauded among our valued clients. In adherence to predefined industry standards, these air vessels are manufactured by the highly experienced professionals. Prior to dispatch, these air vessels are strictly checked by our vendor's quality controllers to avoid flaws. 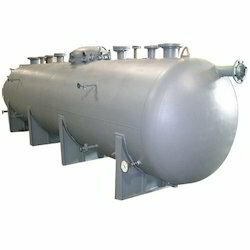 Looking for Industrial Vessels ?